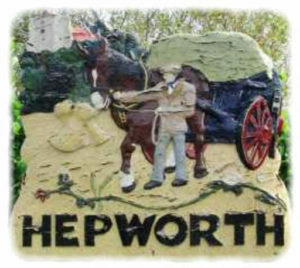 The Parish Council have received a request to replace the Village Sign. We are therefore seeking suggestions as to how this could be achieved. For example, a copy of the original carved in wood, or something completely new in a different material. If anyone is interested in taking on this project please contact The Clerk, Sue Yeomans on 01359 250037 or email clerk@hepworthvillage.co.uk.